A few times a year, we hold our own internal team giving drive, re-homing goods and materials collected from our homes — or those of friends and family members. While we no longer need these items, we know a few charities with thousands of clients that can benefit from our gently used materials. 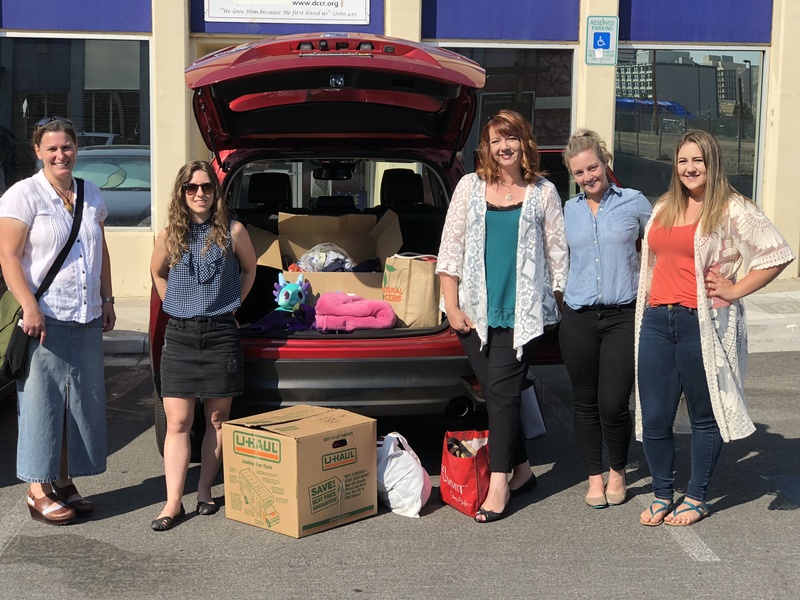 The donations from this late-year drive were so abundant, we had to split them between two charities: Half went to the Domestic Violence Resource Center (formerly CAAW), which helps local victims of family violence to rebuild safe and hopeful lives. The other half went next door to Assistance League Reno-Sparks, which operates a local retail shop to help fund their philanthropic programs. Both charities help local people to live fuller, more meaningful lives. And while the picture only shows one stuffed trunk, it took us two trips with three cars and lots of manpower to help us unload. Because we love the thought of our extra “stuff” becoming the cherished possessions of locals in need. If you’re interested in holding your own internal team drive, consider these two charities as beneficiaries. Their missions are noble, and they’re always looking for donations of men’s, women’s, and children’s apparel and shoes, books for every age, baby clothes and accessories, sporting goods, toys, housewares, linens, home decor, seasonal items, and jewelry.